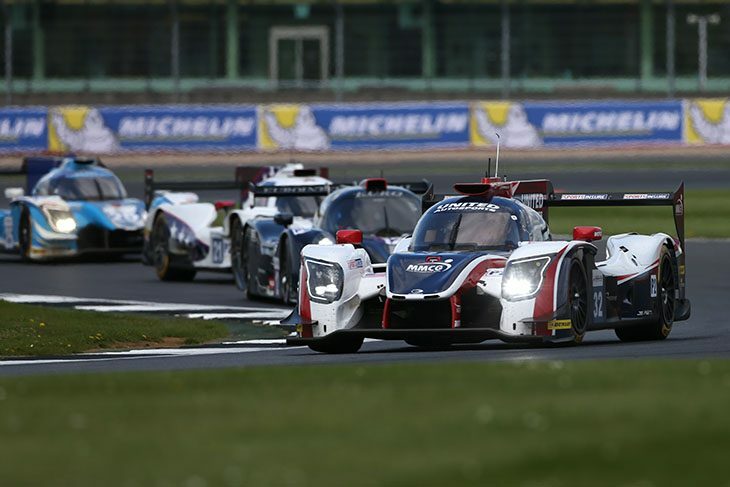 Filipe Albuquerque charged to the front in the final hour of the 2017 4 Hours of Silverstone, to take the first win of the ELMS season for United Autosports in its Ligier JSP217. 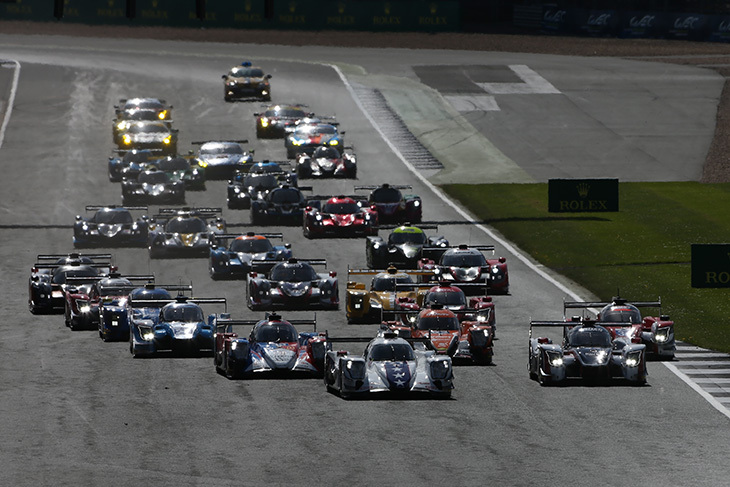 It was a thrilling conclusion to a frantic opening race of the season, which saw all three LMP2 chassis lead the race at various points. But it was Albuquerque, Will Owen and Hugo de Sadeleer who emerged on top. With the clock running down in the final stint, Ryo Hirakawa held the lead in the #22 G-Drive Racing Oreca 07, which had climbed the standings in the first half of the race, but he was on worn out tyres. The team had run out of new rubber at the end, with the only tyres left being the set used in Qualifying. It meant the Russian-flagged team’s lead – which was 30 seconds – vanished, Albuquerque proving unstoppable. It was nevertheless an impressive run to second though for the team, after Léo Roussel managed to take the lead off Algarve Pro’s Ligier at the halfway mark up at Copse following an impressive drive up the order from fifth. 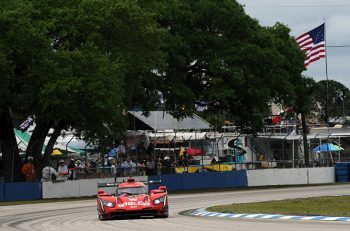 Finishing third meanwhile was the High Class Racing team, with Dennis Anderson and Anders Fjordbach having an incredible run to the podium in its first race as an LMP2 team with the Dallara P217. 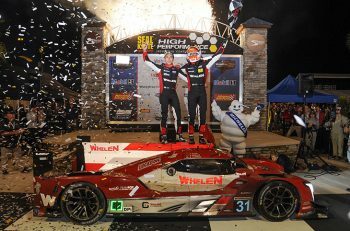 It meant all three chassis manufacturers finished in the top three. Fjordbach even managed to lead the race during the first half, the car’s pace impressive. Fourth went to the #40 GRAFF Oreca, which went from 29th on the grid to the lead in the opening stint while Richard Bradley was behind the wheel before fading. 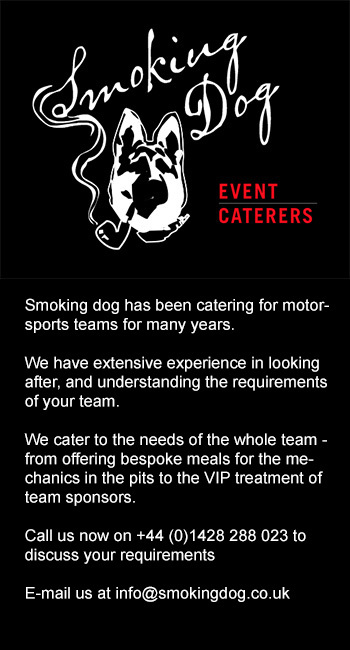 The Tockwith Motorsports team had a quiet run to fifth with Nigel Moore and Phil Hanson. Down the order two front runners suffered notable gearbox issues, upsetting an otherwise clean and trouble-free race for the class. The #21 DragonSpeed Oreca, which started from Pole and set the fastest lap during Ben Hanley’s opening stint lost six laps in the box in the opening stages, and the Algarve Pro Ligier retired after suffering a failure and stopping out on track shortly after losing the lead. The Portuguese team’s prototype was the only one of the new LMP2s to retire. John Falb and Sean Rayhall completed an almost lights-to-flag run to the win for United Autosports in its #2 Ligier JSP3, crossing the line 41 seconds ahead of the competition. The team cruised to the win, with almost a faultless run aside from a spin from John Falb at Copse in the final hour. Second in the class went to 360 Racing’s Ligier JS P2 of Terrance Woodward, Ross Kaiser and Anthony Wells, the trio having a solid run to the podium after starting the race ninth in the class. The #17 Ultimate Ligier crossed the line third, a lap off the leaders, after Jean-Baptiste Lahaye took third place at Stowe off Romano Ricci with forty minutes to go. The second United Ligier P3, which at sat second for a good portion of the race, finished fourth, ahead of the M.Racing YMR Ligier which rounded out the top five. Much of the scrapping in the class – which was static at the top during much of the second half of the race – was further down the order, with multiple spins and offs for many of the runners. Of the two Normas in the race, the M.Racing YMR M 30 had the best showing, finishing down in ninth overall after showing promise, mixing in with the frontrunners in the opening half of the race, before fading towards the end. 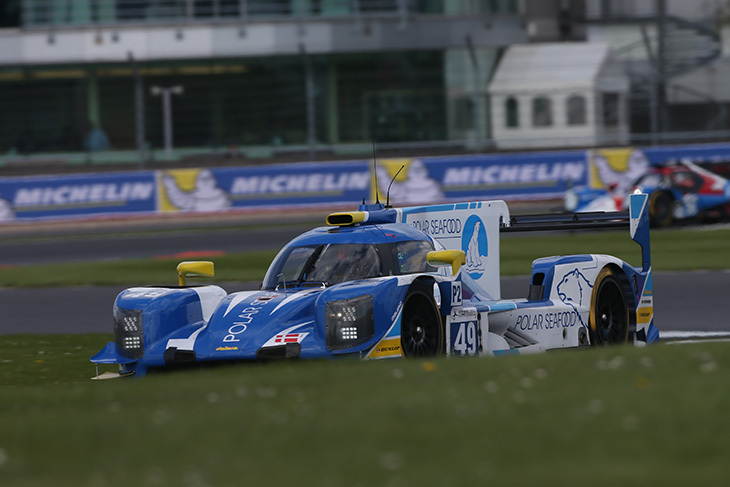 TF Sport delivered a maiden win in the team’s inaugural ELMS outing at Silverstone. 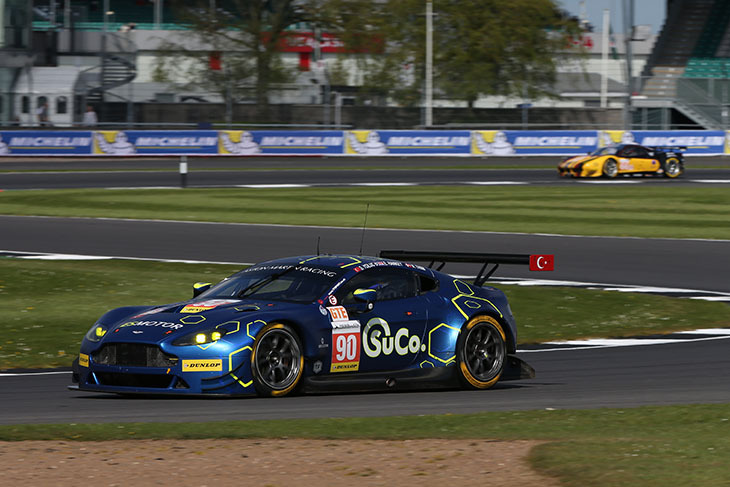 In a four hour run uninterrupted by safety car or cautionary activity the team managed its Aston Martin V8 Vantage’s pace to control the race from the front. Despite starting the race from pole position, it wasn’t a lights-to-flag victory and not entirely without drama however. Aaron Scott got a great start to lead from third on the grid in the #55 Spirit Of Race Ferrari F488 GTE, Salih Yoluc’s pole advantage quickly overhauled as was Andrew Howard’s front row start in the other Beechdean entered Aston Martin. Under pressure the #99 Beechdean AMR Aston span out of contention early on, dropping the car to the back of the field, leaving Jody Fannin sitting comfortably third with JMW Motorsport’s older spec F458 Italia, Ferraris having a promising early showing. But solid pit work and calm strategy from its whole crew put the TF Sport car into a position where the lead was regained and solid pace was established to get the #90 car in control of the race. This was so nearly spoiled in the second hour though as the car, with Euan Hankey at the wheel, tangled with Gianluca Roda’s Spirit Of Race Ferrari at Copse. The #51 Ferrari was subsequently judged by the stewards as being to blame and handed a drive-thru penalty, but the Aston Martin’s spin meant its lead was lost, Joel Camathias’s Proton Competition Porsche now ahead of the class, from Rob Smith’s JMW Ferrari which showed solid pace early on before dropping out of contention. The battle for fourth was joined between Ross Gunn in the recovering #99 Aston, who was all over the back of Duncan Cameron’s Spirit Of Race Ferrari, dropping back from its early form. Gunn made his move into the Luffield complex and soon put some distance between himself and the AF Corse run #55 F488. 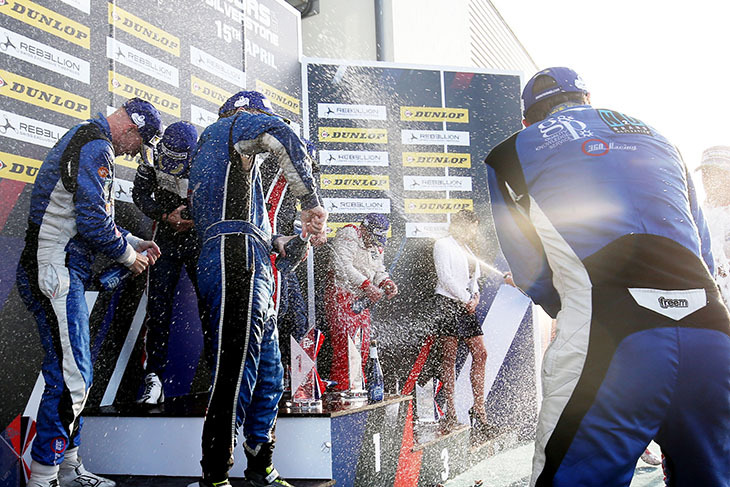 Gunn continued to improve, taking the Aston Martin past the JMW car of Rob Smith before handing over for Darren Turner to take charge of the Beechdean AMR entry. After the second set of stops the order settled, with Nicki Thiim drawing clear at the front of the class for TF Sport, the Aston Martin comfortably leading by 40 seconds from Joel Camathias in the #77 Porsche, Darren Turner’s Aston Martin and Aaron Scott’s Spirit Of Race Ferrari, each pegged roughly half a minute apart for second, third and fourth. Turner typically reduced the gap to third in a solid charge, the Aston factory driver consistently 1s per lap quicker than Camathias and soon right on his tail and challenging for position. Camathias defended hard and fair, but had to give best to the Aston into Copse, though the hard fought position was unfortunately lost at the next round of stops. Euan Hankey had pegged a very solid lead of over 55s for the #90 TF Sport car, the #77 Porsche back in 2nd, Matteo Cairolli now reinstated, after a better pit stop than the #99 Aston’s. But Ross Gunn was having none of it and got the hammer down hard in his final stint. Reeling the Porsche in at over a second a lap, the Beechdean car had to accept third place at a deficit of just one second at the chequered flag.